Here at BTS CrossFit located in Gosford on the sunny Central Coast we are all about bringing the community together, from a young child, to the elderly individual and to the elite athlete. We do this by increasing their fitness with what we believe is the best training system in the world “CrossFit". CrossFit caters for all fitness levels by using constantly varied functional movements, this will increase your overall fitness and wellbeing to have you ready to take on life. With 5-6 classes a day we are here to help you on your journey to better health. We have experienced and caring Coaches passionate about the individual’s health and fitness and reaching their goals is our highest priority. We will improve your mobility, educate you in nutrition and train you with this system to ultimately make you function better as a human being. Balanced, Together and Strong are our coaches and athletes, and united as a community we will change each others lives! 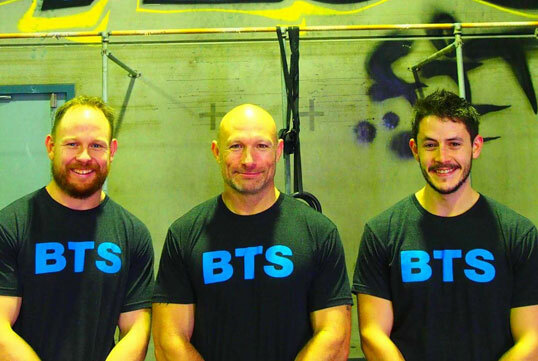 It is our mission at BTS CrossFit to excel in the field of coaching CrossFit and its training principles. We will do this by doing everything in our power to look after each member as an individual and help them to progress as athletes and people. We are committed to further increasing our education and training experiences to pass on to our members. We believe we can change the lives of the people within our community by providing state of the art coaching through a system that just plain works. This one touched my heart! Thanks for partnering up Lisa Allport! Great stuff on the pistols!